Birthplace : Pahokee, Florida, U.S.
Zabian Dowdell is an American basketball player. He played college basketball for the Virginia Tech Hokies. 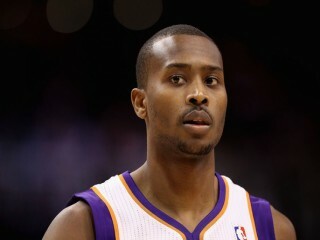 He is now playing as guard for the Phoenix Suns of the NBA. Dowdell attended and played college basketball at Virginia Tech from 2003 to 2007. A four-year starter, Dowdell and teammate Jamon Gordon were considered one of the best backcourt duos in the Atlantic Coast Conference. Dowdell is the seventh leading scorer (1,785) in Virginia Tech history, as well as fifth in assists (380), and third in steals (241). He was current coach Seth Greenberg's first signee at Virginia Tech. Dowdell scored in double figures in his first 41 ACC regular season games. He was named All-ACC honorable mention twice, All-ACC Defensive team twice, and All-American honorable mention in 2006-07. He was also named to the first team All-ACC during his senior season, becoming the first Hokie to do so. Dowdell made his first collegiate start on November 22, 2003 in the win over the University of New Hampshire. During the game, he scored 15 points, with five assists and three steals. He scored a season-high 20 points during a win against West Virginia University. At the end of the regular season, Dowdell played in two games of the 2004 Big East Tournament, during which he scored 21 points, and had eight assists and seven steals. Dowdell started 28 games and scored in double figures 15 times. He was second on the team in assists and scoring. On February 2, 2005, Dowdell tied a career-high with five three-pointers and scored a season-high 23 points in a win over the University of Miami in front of a large crowd from his hometown of Pahokee, Florida. On February 17, 2005, he hit the game-winning three-pointer and scored 11 points and two assists in the win over seventh-ranked Duke University in Cassell Coliseum, one of the most famous victories in Virginia Tech basketball history. After the regular season, Dowdell totaled 24 points, four rebounds and three assists in two games of the 2005 National Invitation Tournament, including 16 points in a first-round win over Temple University. The tournament was Virginia Tech's first postseason appearance in nine years and their first National Invitation Tournament appearance in a decade. Dowdell started 29 games and scored in double figures 26 times. He averaged 14.4 points and had four games of 20 or more points. He was 16th in scoring in the ACC (tenth in league games), 11th in steals, and third in three-point field goal percentage. He was named an All-ACC honorable mention and first-team All-State by the Virginia Sports Information Directors (VaSID) and the Richmond Times-Dispatch. On December 7, 2005, Dowdell scored a then career-high 25 points against North Carolina A&T State University, as well as career highs in field goals made (nine), three-point field goals made (seven) and three-point field goals attempted (12). On January 21, 2006, he scored 21 points and had six assists against the University of Maryland. During the game, he hit eight of his final 12 shots and scored his 1,000th career point. After the regular season, he scored 15 points against the University of Virginia in the 2006 ACC Tournament. He also had four assists and four steals. Dowdell led the Hokies in scoring (15.3 ppg), steals (70) and minutes played. He started 28 of 30 games and scored in double figures 28 times. He was named an All-ACC Honorable mention for the second consecutive season and second-team All-State by the Richmond Times Dispatch. Dowdell was also named to the ACC All-Defensive team. On January 6, 2007, Dowdell scored 20 points and had five steals in an overtime win against fifth-ranked Duke University in Cameron Indoor Stadium, the Hokies first win at that arena. On January 13, 2007 he scored 23 points and had four steals in a win over the first-ranked University of North Carolina in Cassell Coliseum, ending North Carolina's 12-game winning streak. On February 13, 2007, Dowdell scored a career-high 33 points in an overtime win again against fourth-ranked North Carolina in the Dean Smith Center, completing the sweep. He scored six of those points in overtime, and made 17 of 19 free throws, including the game-winning points with a pair of foul shots with 1 minute 27 seconds remaining. After the regular season, he scored 28 points, had six assists, and had five steals in two games of the 2007 ACC Tournament. Dowdell then scored 15 points in two games of the 2007 NCAA Tournament. The first-round game, a win against the University of Illinois, was the Hokies' first NCAA Tournament victory since the 1996 NCAA Tournament. Dowdell started in 33 games, scored in double figures 29 times, led the Hokies in scoring (17.4 ppg), and finished second in steals (71) and assists (106). He was second in the ACC in steals per game (2.1) and fifth in free three percentage (80.6). Dowdell was named the ACC Player of the Week twice during the season. He also earned All-ACC first team honors (becoming the first Hokie to do so), and was named to the All-ACC Defensive team. After his the senior season at Virginia Tech, Dowdell went undrafted in the 2007 NBA Draft. He then played European basketball for SLUC Nancy in the Pro A Division of the Ligue Nationale de Basketball. On June 15, 2008, Dowdell and SLUC Nancy won the LNB Championship game against defending champion Chorale Roanne Basket, 84-53. He played for 14 minutes and scored two points. Dowdell and SLUC Nancy also played in the 2007-08 ULEB Cup (now known as the ULEB Eurocup), a competition that included 54 teams, initially divided in nine groups of six teams. SLUC Nancy, who played in Group D, was eliminated during the round-robin group stage (regular season) and did not participate in the knockout stage or the playoffs. Dowdell played in all ten regular season games and had 221 points, 32 assists, 28 rebounds, and 12 steals. Dowdell signed with A.S. Junior Pallacanestro Casale (known as Fastweb Casale) in the LegADue, the second-highest division of professional basketball in Italy. He played in all 30 regular season games and averaged 20.7 points per game. On November 2, 2008, he scored a season-high 36 points in a win against Trenkwalder Reggio Emilia, 91-87. In the quarterfinals of the postseason, Fastweb Casale won three straight games against Coopsette Rimini to sweep the series and advance. In the three games, Dowdell had 39 points, 11 assists, 12 rebounds, and five steals. Fastweb Casale then lost the semi-final series, 3-2, against Vanoli Soresina and were eliminated. In that series, Dowdell had 91 points, 15 assists, 20 rebounds, and 12 steals.